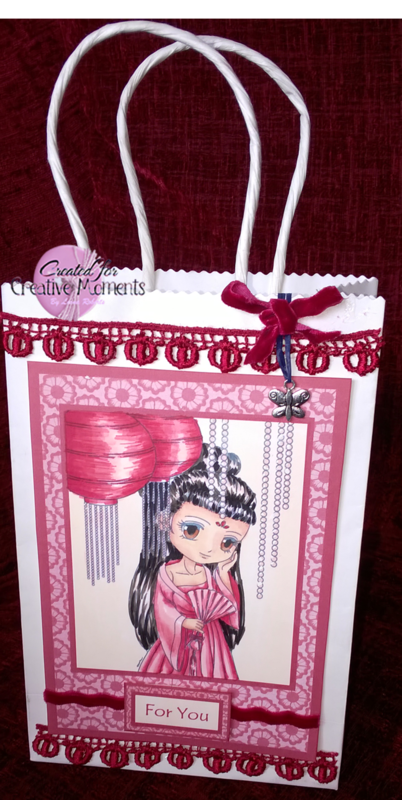 For the Fancy Folds challenge starting to day at Creative Moments I have made a gift bag. the challenge is sponsored by Art by Miran I have used Beautiful Amy . 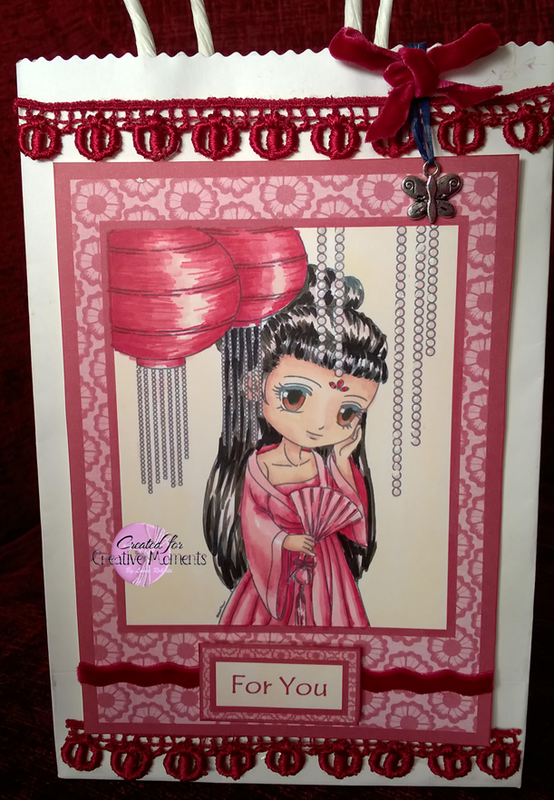 SHe has been coloured with bothe Promarkers (Cardinal Red, Ruby, Antique Pink, Pale Pink, Vanilla, Ivory and Coral) and Copics (W7 and 100). The ribbon, lace and carm are all from my stash. 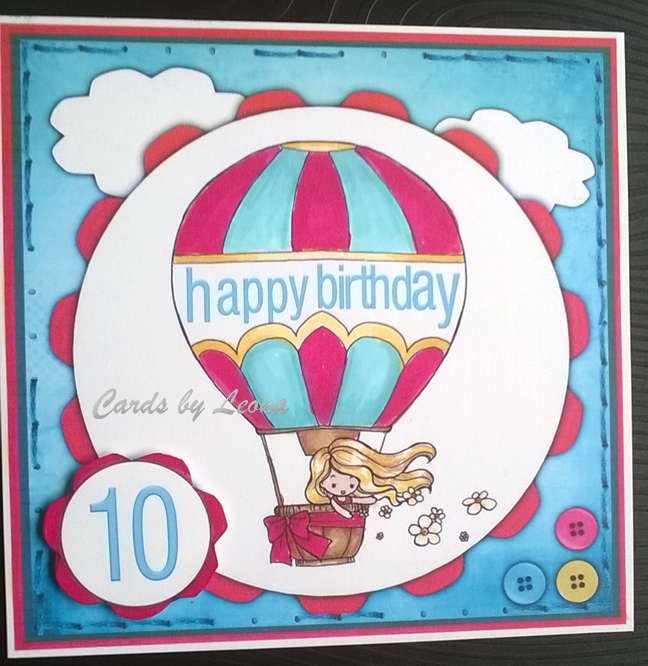 I have added the words “Happy Birthday” to the balloon and coloured image with Promarkers. The stiching is faux and was added to the digital paper before printing. 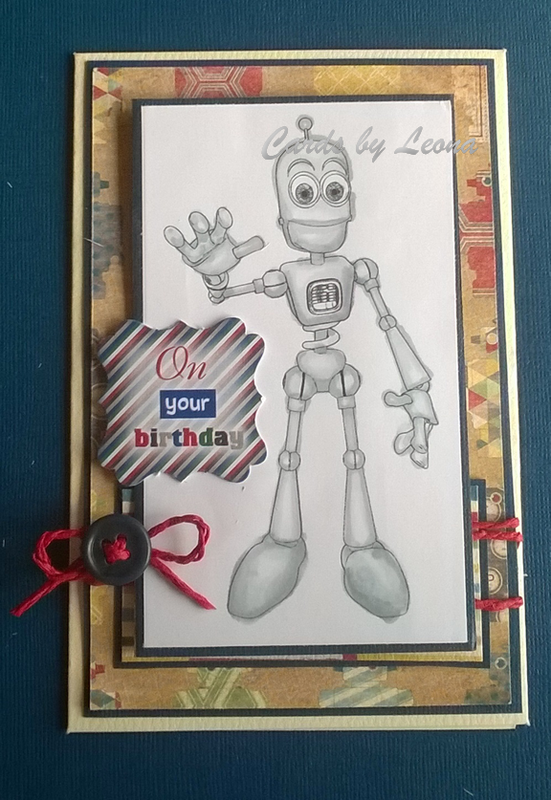 I am using a Drawn with Character digi today, it it a simple silhouettte that is a perfect foil for this Daisy Trail digikit, which is called New Year 2012. 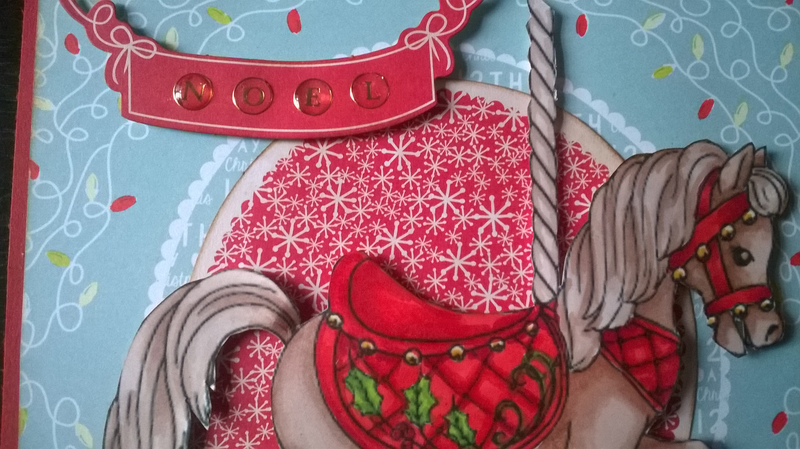 The Banner is cut from a Joanna Sheen die and the tiny heart embellishments came from the same die-cut. 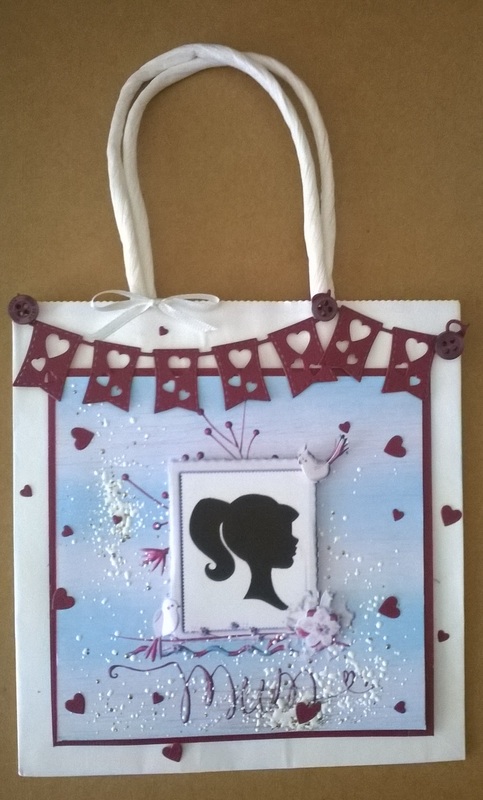 the topper is finished with frantage in shabby white and is mounted onto a giftbag. 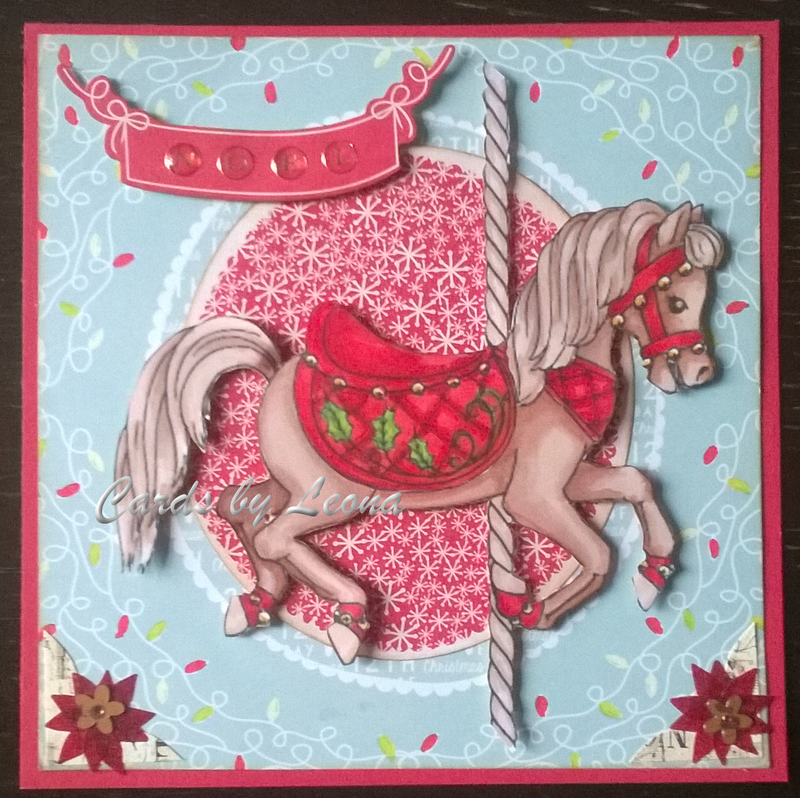 Card and Scrap – Everything is allowed. 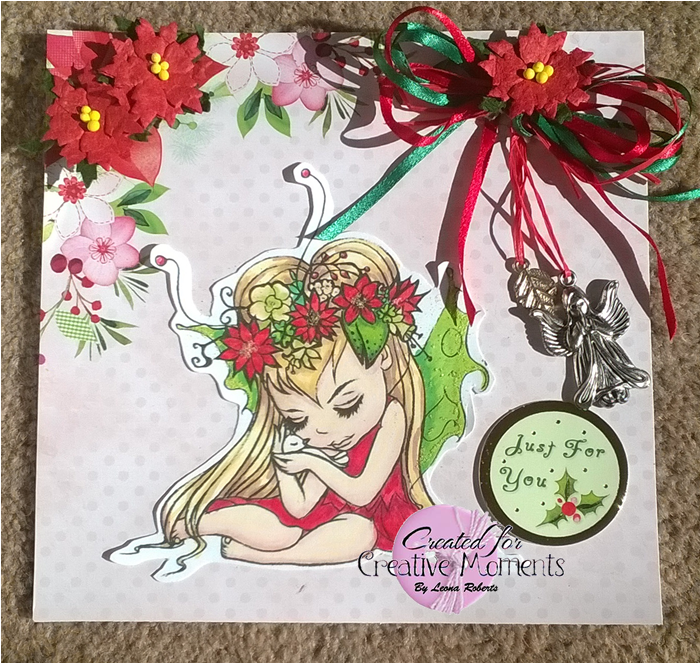 The new challenge at Creative Moments is a recipe for a card. The recipe is 1 layer, 2 charms 3 flowers and sponsored by the digistamp designer The East Wind. 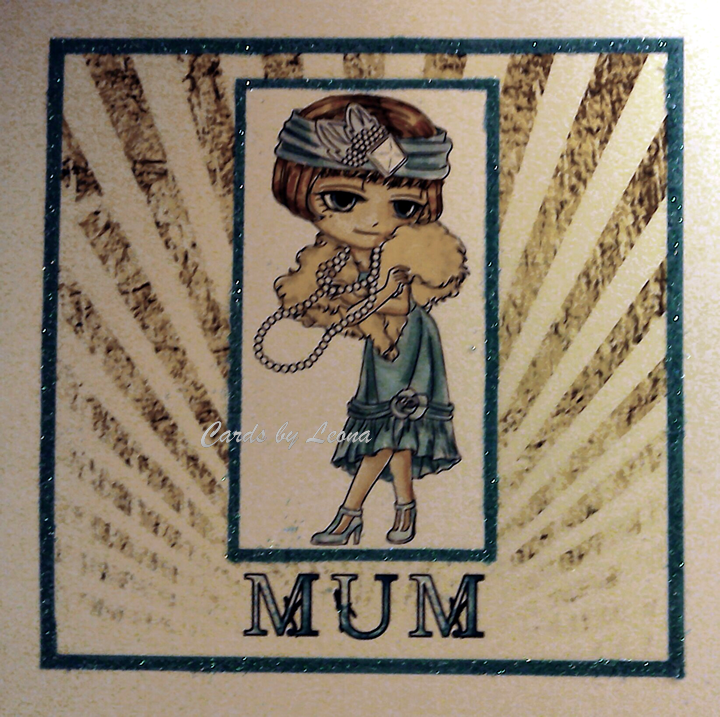 The digistamp I have used is called Flower Fairy & Birdie.